“Aftercare is crucial once an individual has completed drug or alcohol treatment and is in recovery. There is a continuity of care that should be followed once initial treatment is completed. This usually involves a lower level of treatment such as outpatient care and a sober living environment,” proposes research from the LAC-USC Department of Psychiatry published in the Open Journal of Psychiatry. Read on for three specific ways aftercare plays a vital role in supporting long-term recovery. Aftercare can mean the difference between a return to negative old habits and the start of positive new ones. 1. Aftercare increases the odds of recovery. Many people think of addiction treatment as a means to an end. Unfortunately, this can be a dangerous perspective which may ultimately lead to relapse. Research indicates that clients who remain in treatment longer, follow their discharge plans, and embrace recovery-related activities are more successful when it comes to reaching and maintaining their sobriety. 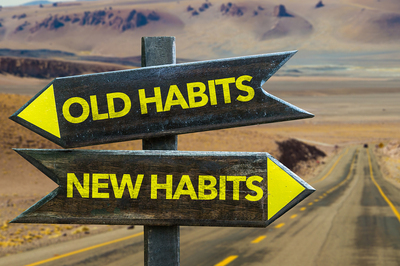 Many addicts are in a rush to return to normality; however, it’s important to keep in mind that this may also mean a return to bad behaviors and the chains of addiction. Enter aftercare. 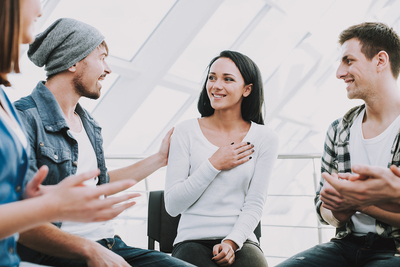 Aftercare programs provide case management, support groups, education, and relapse prevention services, all of which are invaluable tools for addicts during a vulnerable time. For people who do experience a recurrence of use, meanwhile, aftercare programming can be the best way to get back on track. 2. Aftercare helps facilitate the transition from active treatment into everyday life. If it was easy to simply walk away from the bad behaviors that lead to substance abuse and addiction, everyone would do it. The reality is that it’s hard, and the more support addicts have along the way, the more likely they are to succeed. After recovery, the return to “normal life” can be a particularly tricky time. Aftercare can provide invaluable support during this dangerous reentry period and can act as a “safety net” against relapse, helping participants make healthy choices. It also offers access to supportive individuals and groups who can help them stay focused on their goals. 3. Aftercare will reinforce the development of coping skills. Leading a substance-free life is one thing in a controlled setting. In the real world, it’s something else completely. Viewed through this lens, returning to normal life without aftercare is akin to jumping straight into the deep end without a life preserver. These kinds of stressors are what often send people toward substance abuse in the first place. Aftercare, however, provides the opportunity to learn and practice proven coping skills. It also helps participants quickly identify triggers in order to quickly deal with them. Peer support is invaluable, and yet may be missing from the everyday lives of recovering addicts. Still not convinced that aftercare is a necessary part of recovery? The research referenced above indicates a strong relationship between aftercare and relapse prevention. Specifically, while 23 out of 28 patients who refused contact or aftercare relapsed within 12 months of concluding a treatment program, an impressive 42 out of 44 patients who had ongoing contact in the form of aftercare programs remained substance-free over the same time period. Many people view aftercare as an optional part of the process. However, for those looking to enjoy the greatest chances of long-term success, the importance of aftercare cannot be dismissed. To find out more about Harris House and its inpatient, outpatient, and aftercare programs for addiction treatment in St. Louis, contact us today.